Dude, is it legal yet? People have been saying this since the seventies. Speaking to activists from this era, it seems many felt that legalization of marijuana in the US was imminent in the early seventies. But other than Alaska in 1975 (re-criminalized in 1991) the seventies did not see legalization of marijuana come to pass. The activists of the seventies (Baby Boomers) have now been joined by the next generation – the children of the seventies (Gen X). With these two generations working together public support for legal marijuana is now over 50% and is on the rise. Victories in the battle to change US laws continue as both generations of activists work towards change. Today the answer to ‘Dude, is it legal yet?’ is becoming ‘Yes!’ for more and more people as Washington and Colorado have moved to legalization, nine states have decriminalized and twenty-three have introduced medical marijuana legislation. While the Baby Boomers and Gen X share the goal of legalizing cannabis, they do not always share the same focus or approach. Groups like the National Organization for the Reform of Marijuana Laws (NORML), founded in 1970, have advocated for decriminalization for decades. The group was founded by Keith Stroup, a ’68 graduate of Georgetown Law, who is still working with the organization today. The group’s main focus has been on decriminalization and legalization, most prominently displayed in their public service announcements (PSAs) by activists such as Willie Nelson. “I smoke pot and it is none of the government’s business” he said in a 2012 NORML PSA. Longtime supporters of NORML such as Willie Nelson are among those whose faces have become icons associated with the organization and their goals. Willie, thirty-seven years old in 1970, was eighty years old (four-twenties) when legal marijuana access began in Colorado and Washington this year. It has been suggested that Willie’s public support of NORML (as well as a benefit concert in support of Leonard Peltier in the eighties) were among the factors that motivated the Internal Revenue Service (IRS) to investigate and seize his assets in 1990. Willie has had multiple brushes with the law in regards to marijuana, most recently in 2010, when arrested in Sierra Blanca TX on his way back to Austin from California. Sierra Blanca near El Paso is in the 100-mile border zone or “constitution-free zone” where the Border Patrol routinely ignores state and federal laws. What the Department of Homeland Security calls “extra-constitutional powers” allows the search of you and your belongings without probable cause or a search warrant within 100 miles of the border. Snoop was arrested at the same Sierra Blanca border crossing in 2012 for medical marijuana. His California prescription for marijuana is not recognized by Texas or by the Border Patrol in any state. Medical marijuana is thousands of years old, and is a cause that has been thrust into the spotlight by many Gen X activists. Newer groups such as Americans for Safe Access (ASA), formed in 2002, have helped bring this new generation’s focus to the debate. ASA, cofounded by Steph Sherer (another child of the seventies) has helped advance a agenda of legal access to marijuana for medical and research use. It is an agenda that has seen much success since the groups formation. 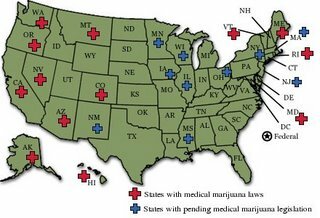 Now a majority of medical marijuana states in the US seems like a ‘when’ not an ‘if’ as New York recently became the 23rd state with legal medical access to marijuana. 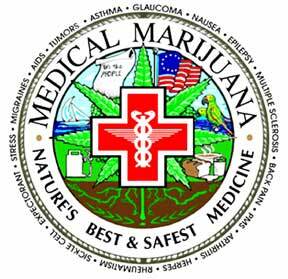 ASA has also focused on fighting federal laws that interfere with state medical marijuana, last week the group scored another victory as Congress approved further restrictions on federal funding of Department of Justice (DOJ) efforts to fight state medical marijuana laws. This comes on the heels of an historic decision in May, where Congress voted 219-189 to cut off federal funding for medical cannabis enforcement to the DOJ and DEA. Locally, in San Diego efforts against medical cannabis have not only been led by the feds, but by District Attorney Bonnie Dumanis – whose stance has been so vehement it has led some to speculate she is receiving funding from Mexican nationals trying to protect illegal marijuana businesses. Legal cannabis in the US is a serious problem for Mexican cartels. The Washington Post recently reported that pot farmers in Sinaloa have stopped planting due to a massive drop in prices. Their marijuana, once worth $100 per kilogram wholesale is now worth only $25. Legal recreational and medical marijuana have effectively weakened the cartels, where all other efforts including arrests, and crop sprayings have failed. ASA has also led the fight in San Diego against the District Attorney’s witch hunt. Local Eugene Davidovich, who served as director of ASA’s San Diego chapter for the past five years, has seen many court victories, including his own in ‘Operation Green RX’. 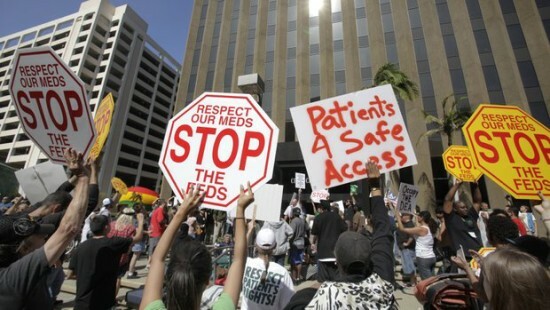 Operation Green RX was a 2009 effort, led by the San Diego DA against the medical cannabis community. The DA was afraid to target medical marijuana publicly at the time, going so far as to change the name of the operation and calling the string of arrests an effort to protect Navy housing. The local San Diego ASA chapter has been among the most effective in the nation at fighting local court battles, with juries frequently rejecting the DA’s stance in local and appellate courts. The San Diego chapter was recently recognized as ‘ASA Chapter of the Year’, and veteran activist Terrie Best has stepped up to head the local chapter and continue the valuable work spear-headed by Davidovich. Meanwhile marijuana laws around the Americas are loosening more and more rapidly. To the north, Canada maintains a federal medical marijuana program, while cities like Vancouver have introduced Amsterdam-like smoke-friendly establishments. Canadian efforts to curtail home medical grow operations in favor of large government sanctioned corporate grow-ops have met with opposition and are currently being litigated in the courts, led by BC lawyer John Conroy. South of the border, most countries have now decriminalized marijuana and Uruguay has joined the Netherlands as one of the world’s few legal marijuana states. In the United States the states are not so united, with wildly opposing laws. While Colorado has legalized commercial sales, just across the border in Oklahoma a law was recently enacted including life imprisonment for possession of hashish, a grinder, or brownies. Recreational sales topped $14 million during the first month in Colorado and medical sales generated even more state revenue. Colorado expects to take in over $180 million in tax revenue during the first eighteen months of their program. Meanwhile states like Oklahoma continue to enact harsher laws to fill their already over-crowded sub-standard prisons. In a recent Oklahoma case, Patricia Marilyn Spottedcow, a mother of four, received a twelve year prison sentence for her role in the sale of $39 of herb to an undercover informant. Many observers have long noted US law enforcement’s use of marijuana laws as a tool to discriminate. While marijuana use rates are equal among races, the rate of incarnation is many times higher for visible minorities. Many have also noted that the very roots of cannabis prohibition are based in racism. The law took effect as the Congressional 60-day review period expired with no action taken. A large majority of DC residents voted for a ballot initiative making marijuana use legal for medical purposes in 1998. However, Congress used it’s power over the DC budget to prevent the law from being enacted until 2009, even taking the unbelievable move to block announcement of the results of the measure (Initiative 59). Today Washington DC is joined by nine states which have decriminalized marijuana. With even the slow-moving federal government giving way to overwhelming public opinion can the rest of the country be far behind? Yet here we are.. fighting DEMOCRAT Marti Emerald last week… trying to explain to a clueless person of power that edibles and concentrates aren’t so dangerous they need to be completely banned. With the hysteria around legal marijuana losing it’s bite, the pols need something else to drum up fear. That’s were concentrates come in. Banning edibles and allowing marijuana is like having legal coffee and illegal espresso. Marti Emerald should know better. The issue is bipartisan anyway not Democratic. Many of the staunchest supporters come from the other side of the aisle, like Dana Rohrabacher. Also many libertarians are strong supporters. Even the Republicans are realizing it is an increasingly losing proposition to go against marijuana law reform. In Larry King’s interview with Willie Nelson a few months back, he mentioned that 75% of Americans now favor outright legalization, and he said there are three sure things “death, taxes, and legal marijuana”. Those standing in the way today will be remembered for being on the wrong side of history some day soon. The people may be for it, but the money is still against it. Big pharma would lose billions as sales of SSRI, MAOI, and TCA drugs plummeted. And if it turns out to be true that drinking cannabis oil really can force certain cancers into remission, then they would lose billions more. Alcohol producers would lose billions as people chose marijuana instead of alcohol. Private prison companies would lose at least 25% of their bloated revenues without marijuana prohibition, both from fewer marijuana prisoners and from fewer DUI offenses. And police would be forced to go after real criminals who might shoot back or flee, or make the cop go to court to testify. 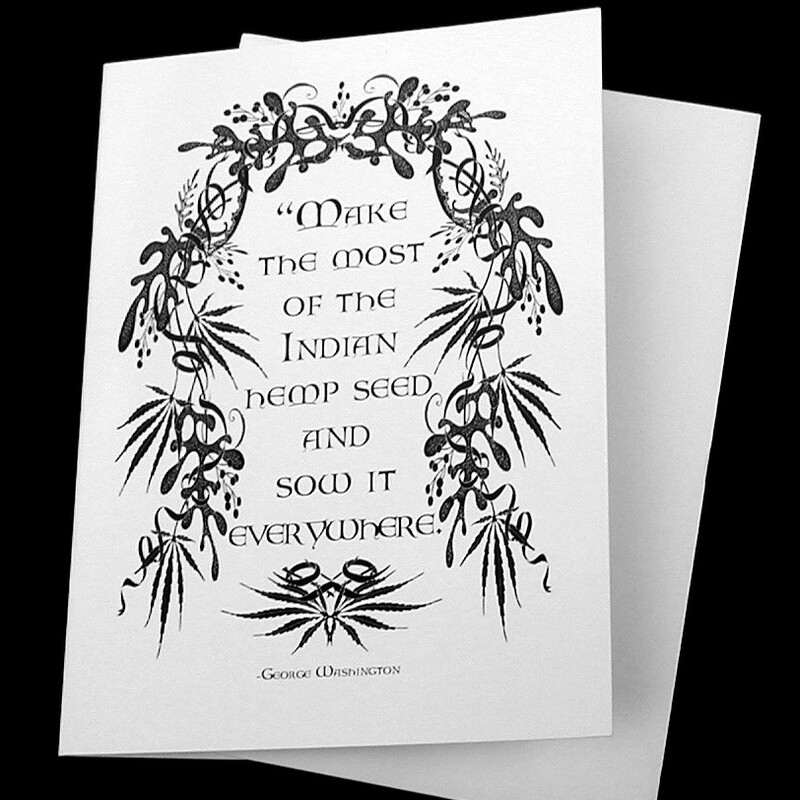 Then there are all the industries that produce and distribute inferior substitutes for hemp fiber and hemp oil, who would lose their revenue as well. Big Pharma, alcohol and textile industries can adjust in a heartbeat when the day comes. They will be able to sell new medicines, sell THC-infused alcohol drinks, and go back to hemp rope and cloth which is better anyway. They won’t miss a beat. In Canada – the federal MMJ program under Health Canada only allowed home grows and one producer – Prairie Plant Systems before the recent changes. They announced in 2013 that the would be allowing applications for production licenses. They put restrictions on the applications requiring things like a free-standing building, 24hr-surveillance, and more that put it out of reach for people without money. Less than a year later and there are dozens of producers already. If these people can jump into the industry so can the big players. Law enforcement and the cartels are losers. 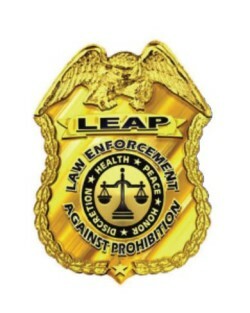 Many police forces already complain about the medical mj laws. In Canada there have been multiple instances of the cops busting grow-ops only to find they were licensed by Health Canada and then having to give everything back and apologize. There was even a house that was busted because it smelled like skunk. Turns out it was because a skunk was living under the house… yet another embarrassment for the police. Making it all legal will save them that embarrassment at least. THC infused alcohol drinks will not occur until some time after legalization. I’ll go ahead and predict that now. There will be many hoops for companies to jump through before they’ll be able to sell a product consisting of two recreational drugs.